The Geekaround | Geeky Randomness Every Post! So I FINALLY finished Chaos Rings, which I’ve had installed for a month now. 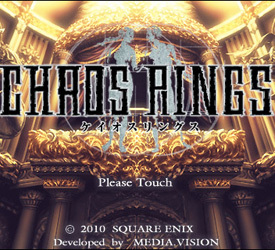 Chaos Rings is an RPG made and released by Square-Enix EXCLUSIVELY for the iOS. It’s a beautifully-done game that sets the bar high for graphics-driven mobile RPGs, and gives you a fairly-decent story to follow (although, of course, not as epic as the Final Fantasy plots). Without spoiling the storyline for you, what I can say is that in the game, you follow 4 pairs of people contending in the “Ark Arena”. Each pair has a story that unfolds as you play, and to understand more about the whole plot and purpose of the Ark Arena, you’ll have to play through each and every one of them. Okay, let’s stop there. So I’ve recently finished Chaos Rings… Yep, I played through the game FOUR TIMES to understand everything. Sure, finishing the game with a pair gives you an ending, but it just seemed defeatist of me if I didn’t force myself to press on! So I did… And boy was it dragging!!! The gameplay was pretty much the same every time, and you’d face a monster a hundred times, even more in total if you go through all campaigns! 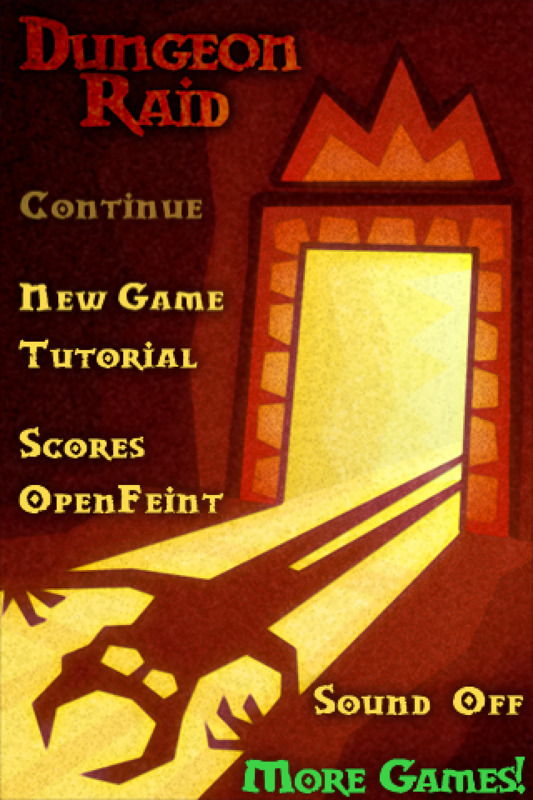 But if you can look PAST the repetition, PAST beating those bosses AGAIN and AGAIN and AGAIN… Then this is actually a really descent RPG for the iOS! Okay, now I’m done with the negatives…The positive is that it’s a well thought-of story, and the way characters react differently to each other in each playthrough kept me going, wanting to know more about the story and what was truly behind the 4 poor captivated souls’ torment in the Ark Arena. Although it may be overpriced, in my opinion, at $12.99, it still has the elements of a good RPG, as expected from the master of all RPG-producing companies, Square-Enix. I can truly say I’ll be waiting for another original from them for the iOS. 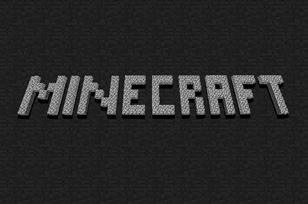 Follow me as I explore my wonderful randomly-generated world in Minecraft at my new blog minecraftaround! In this new blog I’ll be writing down thoughts, plans, and just about anything about this little adventure I started! See you in the servers people! Of all the apps that I’ve downloaded over the 5 months of having this iPhone of mine, Dungeon Raid is a game that got (and still has) me hooked day after day after day after day… Well, you get the picture. 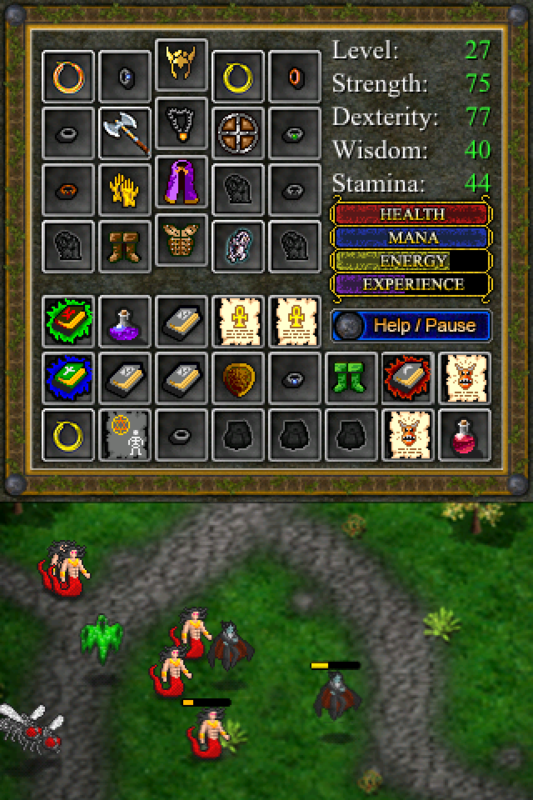 Currently priced at $2.99 (got it on sale for 99₵ a couple of months ago), Dungeon Raid puts a spin on the “match 3 or more” puzzle genre, putting in role-playing elements such as skills, levelling-up, and just plain surviving wave after wave of enemies trying to catch you when you’re ill-equipped to survive that turn. Different tile symbols are “collected” and added to meters that help you survive the turns to come. 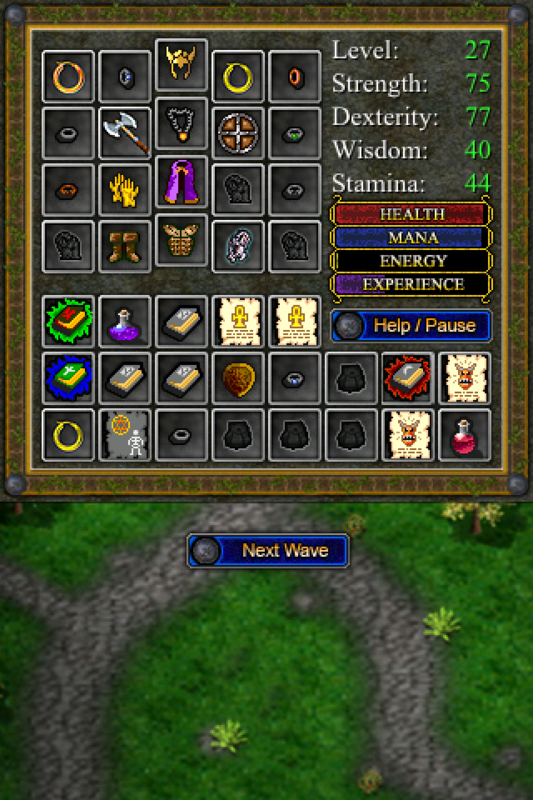 Shields build up your “Upgrade” meter to add buffs to your equipment. Coins fill up the “Coin” meter that lets you buy stronger items in the item shop. Enemy skulls, when defeated, give you “Xp” that levels you up and lets you pick 2 out of a list of 4 skills or stat buffs. 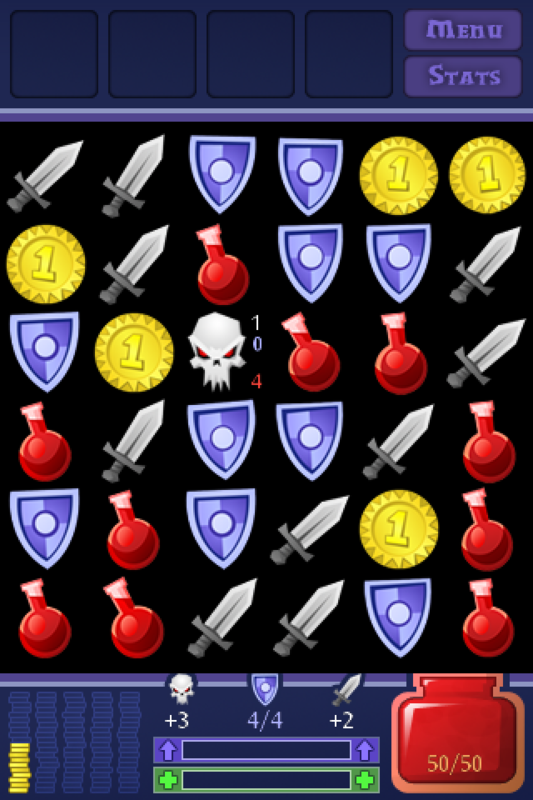 Each skull has an armour and life value that you must outmatch with your own attack and damage-per-sword values (matching swords and skulls stack up the damage given to all matched skulls). I find it hard to actually explain the game in-depth, ‘coz it’s an experience that you have to dive in and try for yourself! 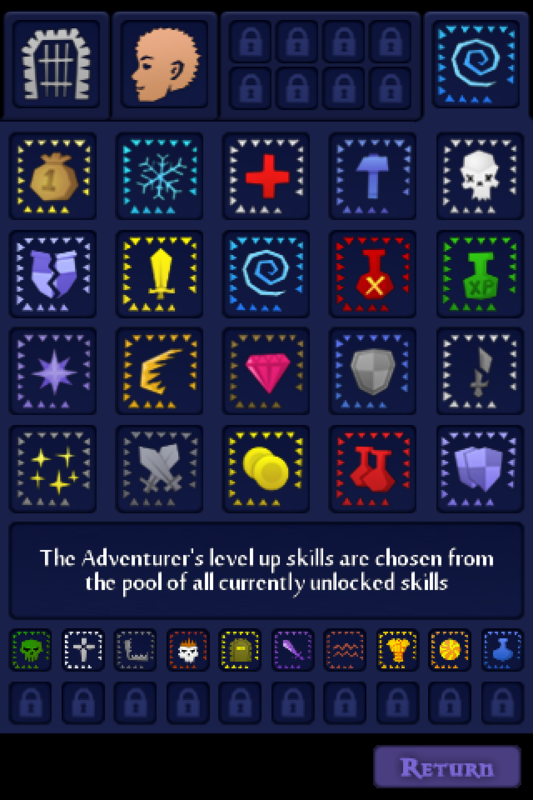 Now on to the update… Last week (the week of March 13th) Fireflame Games actually came out with a TOTALLY GAME-CHANGING update that adds races, classes, and perks to the mix, not to mention the added 75 achievements for all you purpose-driven iPhone gamers! This game just really rewards you for playing it more and more each day by allowing you to level up classes so you can change stock skills, stock perks, and even use the race for a different class! Oh, and did I mention that each class and race has different bonuses that just adds to the strategic element of this game? It’s a total strategy/puzzle/RPG BONANZA! While playing the game with the update effective, I found that unlocking classes and perks were part of the thrill, so I’ll leave you to discover exactly what races and classes are included. This game can take a day, possibly a few days, to wrap up; depending on the time you invest in it and just the overall build of your character for turn-survival. If you don’t plan ahead before diving into a new game, skill choices and upgrade choices can make or break your game plan. Personally I find it easier to focus on hoarding Xp, Up, or Coin depending on the perks/bonuses my character has. Powering up early on and getting the right skills in is the key to getting past the first 100 turns. 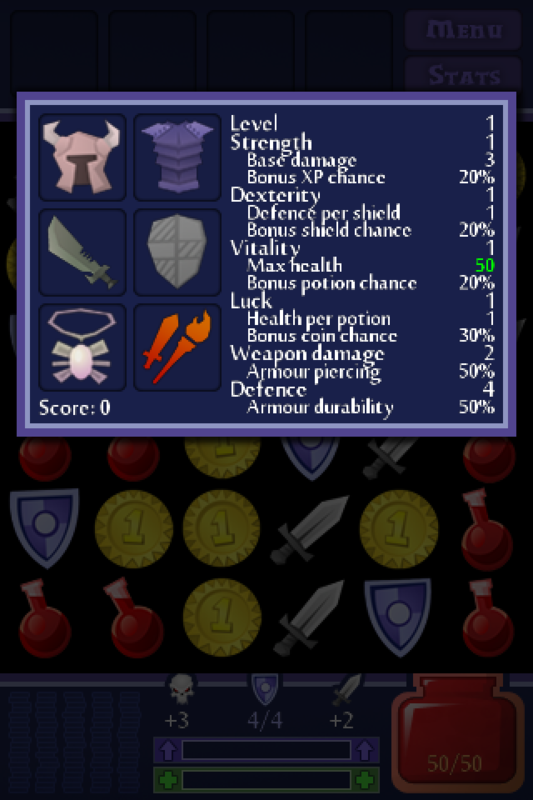 My suggestion is to never neglect armour and luck… A solid defence only gives you more room for offence. GRAB IT NOW! It’s a Must-Have app for casual gamers and RPG-lovers of all ages!